Mahalo Marketing, Inc. acquires, develops and manages outdoor advertising assets in and around Atlanta, Georgia. The firm is a member of the OAAA, Geopath and the Outdoor Advertising Association of Georgia. Mahalo Marketing was started in 1994 and is owned by C. A. Sandy Jones. Insider talked with Jones about the business. Sandy, how did you enter the out of home business? Tell us about your plant and the assets you manage. Essentially, we have been involved in every aspect of the industry as it relates to marketing, sales and management. 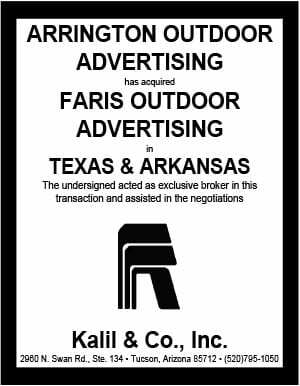 We own and operate our own billboard inventory both on land we own and on land owned by others. We also manage the marketing, sales and administrative functions for other billboard owners. In addition, we also own billboards that are managed by others. As a result of the 2007 recession we challenged ourselves to find non-traditional means to generate revenue with our traditional talents and skills. During that time, banks wouldn’t lend money to small business and there were a number of small, independent outdoor companies in Atlanta that had great locations but needed assistance in marketing, sales and inventory management. Kathy Kull, who has been associated with Mahalo since it started and gifted in every aspect of outdoor advertising crafted the idea of exclusively managing the inventory of other local small independents and essentially forged a way for us to be successful during and following the financial crisis caused by the recession. Much of our business to this day is managing high profile and non-traditional out-of-home assets for others. 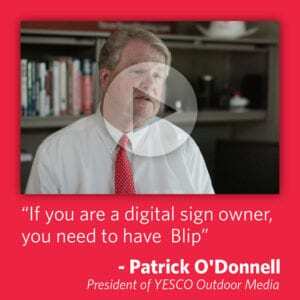 Whose digital billboards do you use and what have you learned? We own and manage digital billboards in the Atlanta market and therefore have extensive experience with most of the digital manufacturers serving the billboard industry. When digital first hit the ATL market we were intrigued with the possibilities being made available to local and national clients alike. What we have learned is that if embraced by the client, the options available with the digital technology can provide tremendous capability and results. The digital OOH also provides local businesses an affordable option to market themselves to their communities without the barrier of traditional OOH production costs. Over the years we have purchased Formetco digitals primarily because of their product reliability and service capability. Because they are local and have on staff technicians here in Atlanta, we have found their response time and quality of work to be excellent. Additionally, Formetco is a good corporate citizen here in the Atlanta market and staunch supporter of the industry. You manage billboards for other people. Talk about that business. This option of managing the inventory of other folks was not available to any large degree until after the recession. We chose to distinguish ourselves from brokers by negotiating exclusive rights to the inventory of others which gave us an opportunity to protect the integrity of the sales and marketing process. Additionally, we gave the owner of the inventory a 90 day cancellation right so that he or she could get rid of us if we did not perform. Hence, some of our “partners” have been with us for many years. We still believe that there are quality options available in the Atlanta metropolitan area. Atlanta is considerably overbuilt with average inventory. Therefore, we focus on superior locations. And although they can take years to develop, we plan to be here for a while because of the relationships we have developed and our local knowledge that gives us a distinct advantage over our competition.